Post-It notes have to be my most used medium for doodling, often while I’m at my day job, waiting for my Mac to finish doing something. They’re great because they are so disposable. Sketching in a Moleskine, or on a fresh sheet of beautiful Bristol Board can sometimes be inhibiting. 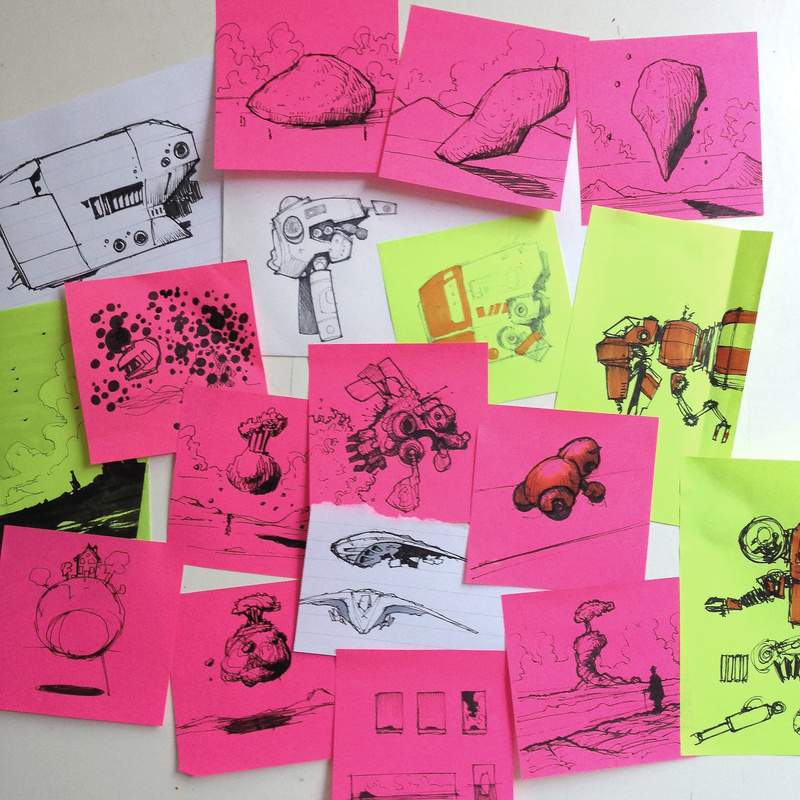 Scrawling ideas and shapes on a Post-It or a scrap of paper can be liberating. You Draw it, You Post it, I love it! Hey. Your pictures are great. I don’t know if you enjoy reading, but if you do you should read “The City & the City” by British author China Miéville. You would have great fun trying to draw pictures of the two superimposed cities within which the story takes place. Hi Bob, thanks for your xomment and I’m glad you like the drawings. Im a huge fan of China’s work, and loved The City & The City – although my favourite is The Scar!